With 250,000 copies sold, this new edition of Joyce Rupp's most popular book offers a fresh opportunity for readers to reflect, ritualize, and reorient themselves as they navigate life's inevitable changes. Everyone has unique goodbyes--times of losing someone or something that has given life meaning and value. With the touch of a poet, Joyce Rupp offers her wisdom on "these experiences of leaving behind and moving on, the stories of union and separation that are written in all our hearts." Praying Our Goodbyes, Rupp says, is about the spirituality of change. It is a book for anyone who has experienced loss, whether a job change, the end of a relationship, the death of a loved one, a financial struggle, a mid-life crisis, or an extended illness. 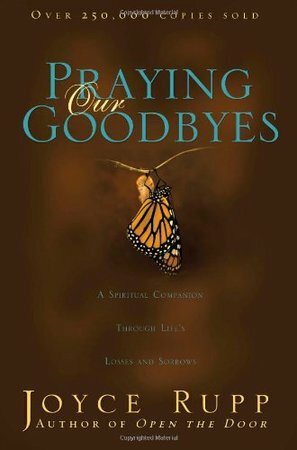 It is designed to help readers reflect, ritualize, and re-orient themselves--to help heal the hurts caused by goodbyes and the anxieties encountered when one season of life ends and another begins.